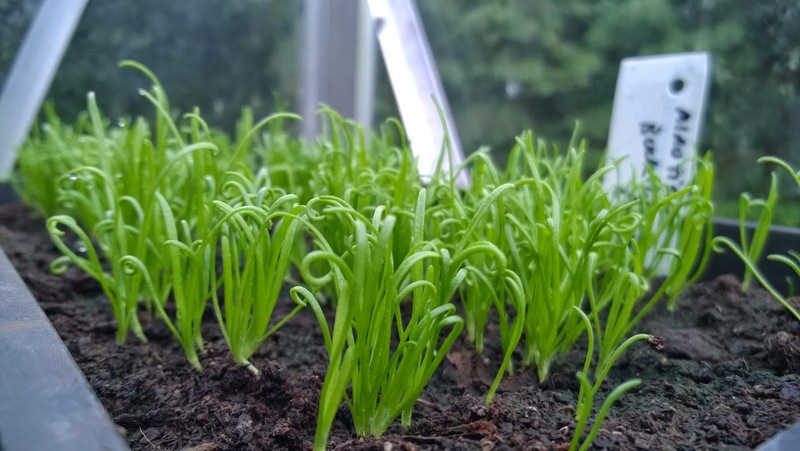 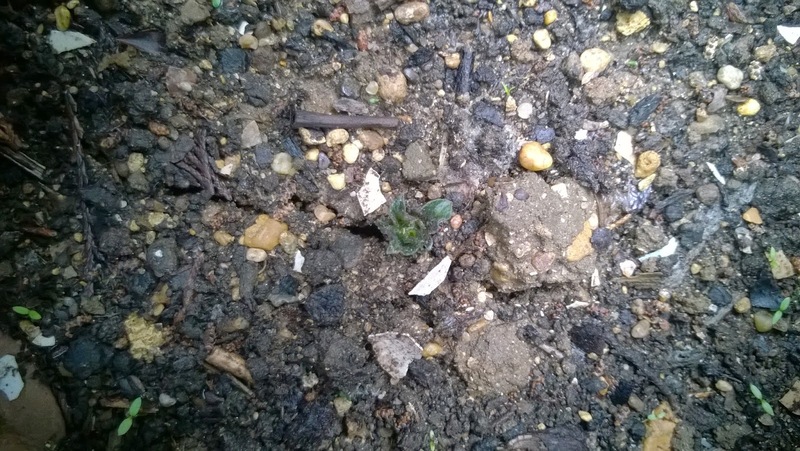 My garden is growing, everything went in late (as usual, I am a fairweather gardener at heart, so most of my plants are tiny seedlings) but other things are coming up too, and the things that are coming up are Incredibly Green. 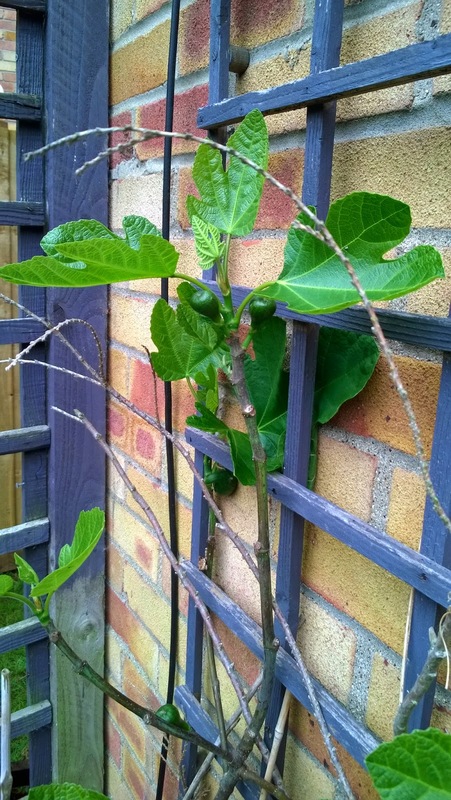 The fig tree, which sat in a pot for a few years looking sad, really appreciated its move to a dryish bed by a wall a couple of years ago. 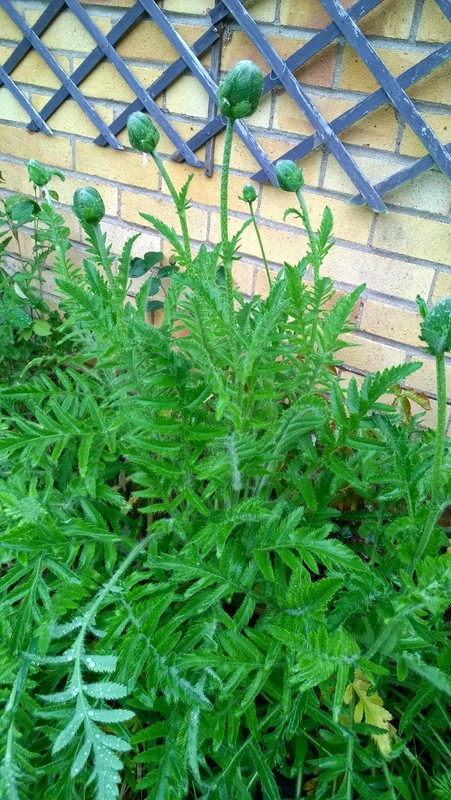 I put it here because Monty Don said it would be a good idea on Gardeners World, and if Monty says a thing will like it somewhere particular, I tend to believe him. 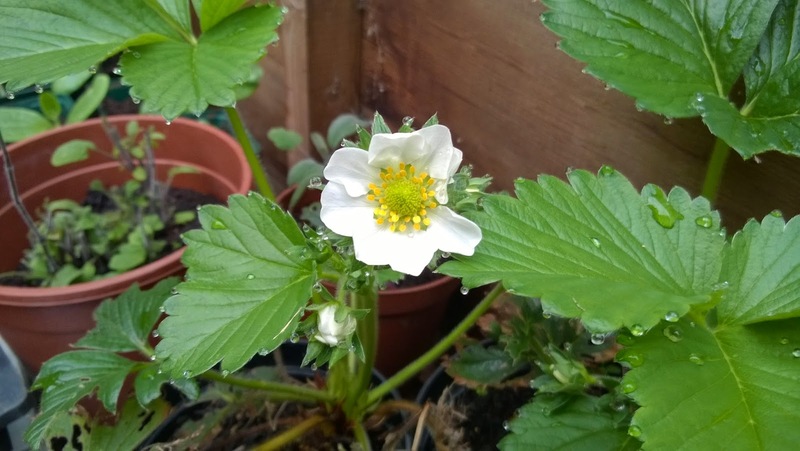 Strawberries from my Mum which have spent the winter in the greenhouse looking a little bit unwell, but have perked up no end since March. 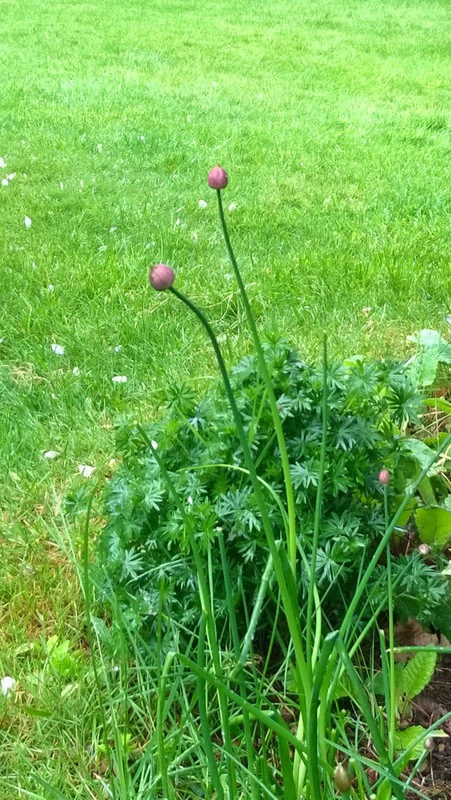 There are some chives, which should have loads of purple pom poms on the end by now but something is eating them (these have escaped, so far).